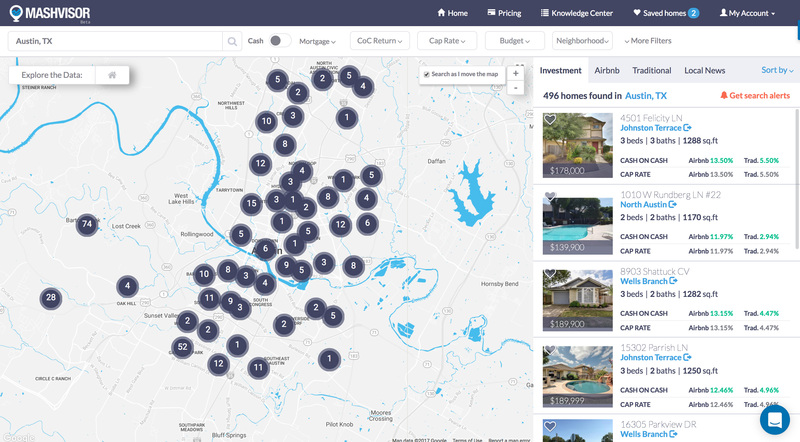 Enter the name of any state, city, or neighborhood to obtain data for all investment properties in the area, complete with all the real estate analytics that you need to make wise investment decisions! 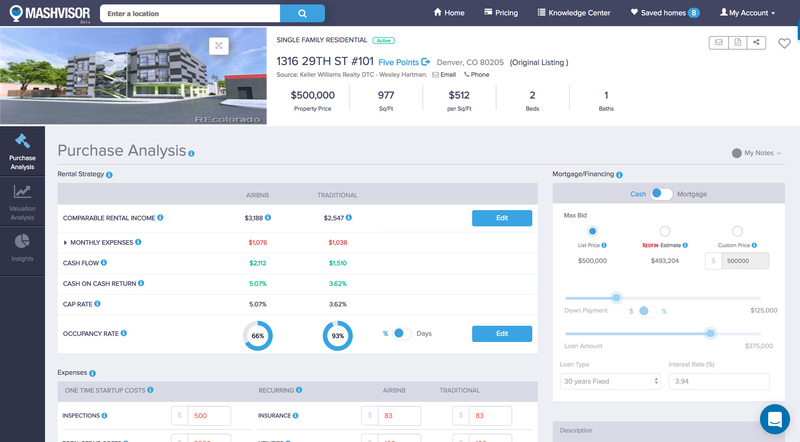 When using Mashvisor to find investment properties, you will gain access to a large amount of information in the form of real estate analytics and data comps. 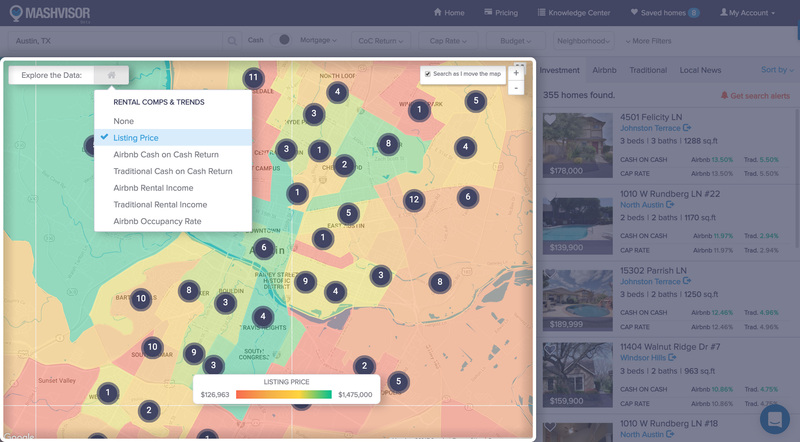 To make it easier to navigate, we created two separate pages: one for investment property analytics, and one for neighborhood analytics. Was there a particular investment property or a few investment properties that you especially like? With Mashvisor, you can save the properties that you like and view them at any time to keep track of their performance and contact the seller once you are ready. Additionally, you can export an easy-to-read PDF report for any investment property that you like to share it with your real estate agent or to get a second opinion from a friend or a family member. 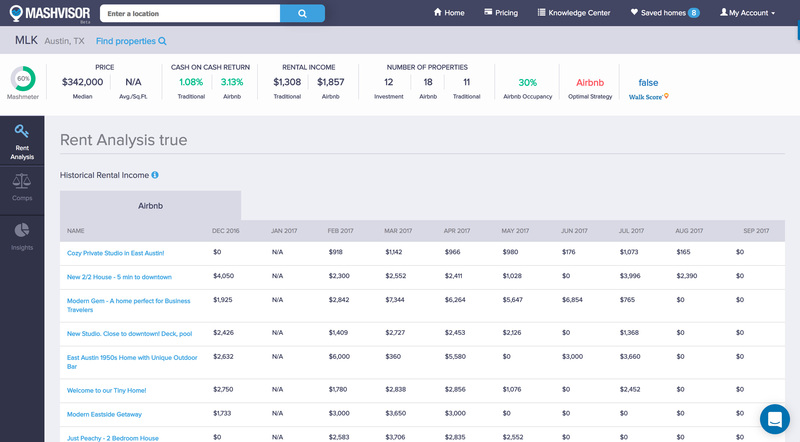 The PDF report includes all the information and data analytics that are included in the investment property analytics page. 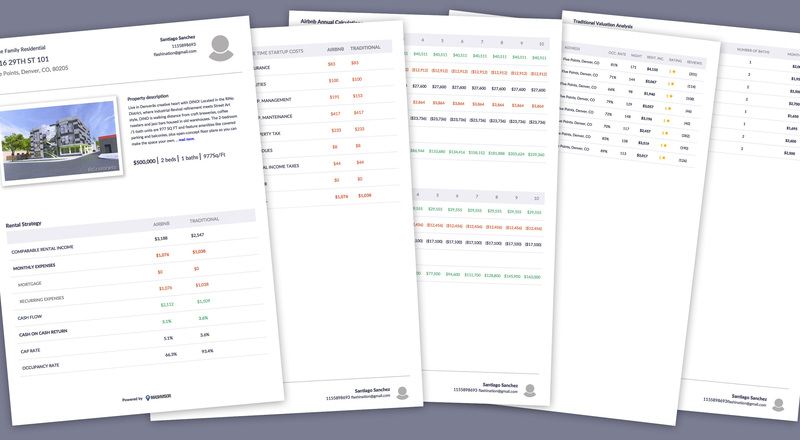 Finally, you can export an Excel Sheet report for your neighborhood of choice. The report will include all the investment properties in the neighborhood and their stats/data for easy comparisons and to identify the best performing investment properties in that neighborhood.